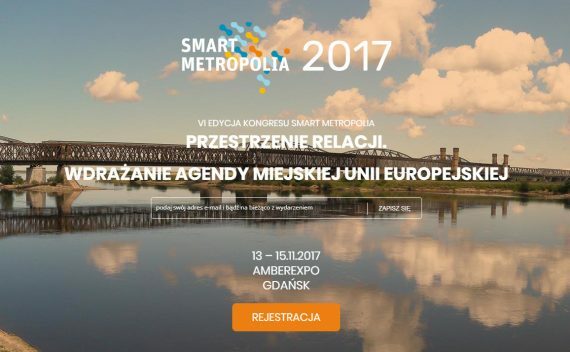 Next week we are involved in a debate on sustainable land use in Smart Metropolia Congress 2017 in Gdansk. The key topic of the congress is the EU Urban Agenda and the opportunities of its implementation. During the discussion we will focus on a ‘compact city’ model and the methods of limiting suburbanization. A2P2 is currently actively involved in this topic, by working on a model of monitoring of the city ‘compactness’ based on the GIS analysis of the land use data, together with the Institute of the City Development (IRM). Other panelists are, among others: Prof. Marek Bryx, Vice-rector of Warsaw School of Economics, Head of the Urban Innovation Unit, Warsaw, Dr. Karol Janas, coordinator at the Observatory of the Urban Policy IRM, Cracow and Monika Rudenska, architect atSpatial Planning Office in Stockholm.